The Joshua Tree: Open Beta! 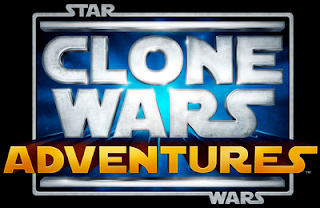 My new game, Clone Wars Adventures, is now in Open Beta! Head on over, create an account and let us know what you think on the forums (must sign in with your Station name)! The game is blocked by Windows Vista firewall the first time it loads up, and you can't see this because the game blocks the popup that asks if you want to unblock it. I've unblocked it, and it does an "eternal loading screen" for me. I eventually have to control-alt-delete to get out of it. Sorry for the unconventional bug reporting! I would report this on the "button in game" or even the forums.... but alas, I cannot load the game, and the forums has only "Annoucements" which is locked down. I figured you would want to know! There is actually a thread about this on the official forums (including my comment). Make sure to hit the sign in link; that's probably why you can only see the Announcements page. Basically, the game is doing a bunch of additional downloading during the "eternal loading screen", but it should come out of it eventually. The way the game streams down assets is still being refined.